Have you ever wondered why the visitors on your site are simply scrolling and walking away without making any purchases? What do you think might be causing this? You could be hurting your conversion by making the wrong choices. 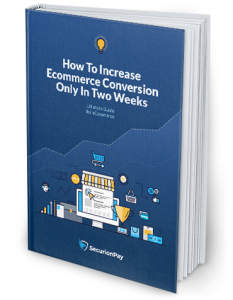 If you run an eCommerce business, dream about increasing your conversion rate, and want to turn more visitors into customers, then this post is for you! Check out the best 48 ideas to boost your conversion and start selling like crazy! Make your visitors stay on your site, and find what they are looking for. Avoid product pages with missing information; tiny, barely-seen fonts; and hidden form labels. Nowadays people want quality in everything: their restaurant order, clothes, shoes, websites, etc. So give your customers an uncluttered design with a unique feeling, which will make them want to learn more about your service or product and what’s all about. Moreover, a better design makes a website more trustworthy. Online logomaker, Logojoy, creates stunning logos for a fraction of the time and cost of a human designer. For a more human touch, check out UpWork or 99designs. No one likes to stand in long lines, likewise, no one wants to wait an unreasonable about of time for a webpage to load. Optimize your site to make it faster and more customer-friendly. Use Pingdom tool for the page speed test. When building a website, it is important to remember to keep it simple. Think about your customers: their needs and behaviors, or how they will most likely navigate the website, and make that pathway available. Remember, users like simple and uncluttered websites that let them convert with ease. Want to check if your website can be designed better? Look for an UX audit at UpWork. Make sure all the information on your page (such as product shipping information, product descriptions, and contact info) are updated. Delete or edit all of the outdated information, which may be misleading to your customers. Also, make sure to verify whether or not you have any missing links that would mislead your users. Link Miner but PointBlack SEO can be a good tool for this. Make the content on your site shareable! Let visitors easily share your products or services with their friends and followers. However, be careful about where you put these, because shoppers rarely share products on their social media profiles, and a low count of shares can turn customers away. Try putting the buttons on the sales confirmation page, or just use buttons without counters. These small tricks will increase the likelihood that your website will be shared. There are plenty of social share buttons, but you can start with AddThis. Again, keep it simple. Don’t let your customers guess what they should do next when they choose a product they want to buy. Give them a big call to action with relevant copy, and avoid text links. Read more about CTAs examples on a Hubspot Blog. Of course, the colors of the buttons on your eCommerce website should be consistent with the overall design, but using the right color also matters. You can also use some visual elements, such as arrows, to focus the customer’s attention on a single call to action. More about colors on a ConversionXL blog. Sometimes customers know just a part of the brand or item’s name. Help them find what they are really looking for! This is a great way to show the product when customers type, that way they can choose it one with just one click. Better filters matter, especially if you offer a variety of choices on your eCommerce site. Make it easy to filter by the category, price, size, color, or even pattern. These tricks will make the whole searching process simpler and can boost your sales. Customers are scrolling through online stores almost everywhere: while they commute, wait in lines, or on their lunch break. So make sure you optimize your page for mobile customers. Today it’s a must! Make a mobile friendly check using Google’s tool. The way you present the products on your site really matters, because it builds the quality of the products in your customer’s eyes. Use the ideas below, and also provide a quick product preview. Give buyers as much information as is needed. Include the product specification or features, but also remember the customer’s benefits – that’s what they really care about. Highlight the values and turn them into benefits for your visitors. Offer the concise – and the long version. But don’t forget the call to action, this is a must have – especially for a long product description. Read about product description that sell. Keeping competitive prices matters, and it’s not even about having the lowest prices. You need to know the real value of your products. Once you know what they are worth, you can choose the right one – not to low, and not too high. Know the wholesale price, and your margins, remember to always stay ROI positive. Check out 9 strategies for profitably pricing your products from Shopify. Images are a great way to increase sales, but only if you know how to use them. You probably know that a picture is worth a thousand words, so add hi-resolution photos to your compelling product descriptions. Large photos, with zoom is what your customers dream of! To the contrary, low quality images can make your products look bad, so don’t risk that. Remember – photos of great quality don’t have to be extremely expensive. It is quite easy to create stunning product photos by yourself. If a picture is worth a thousand words, then a short video showing your product in action may be worth much more. Video is one of the most powerful mediums these days, and when used properly, can improve the conversion on your site. Many online retailers, like Zappos, create great product videos with a low cost approach. You should try it as well! Reviews help potential clients to make purchase decisions and are social proof for your site’s legitimacy and quality. After reading the reviews, visitors will know if the product is suitable for their needs or not. Before purchasing, people usually do some research, and they are more than willing to buy when they see the positive opinions of those who’ve already bought the product. According to PeopleClaim, 70% of people consult reviews, or ratings before purchasing; and 63% of consumers are more likely to buy from a site that has reviews, and product ratings. Make sure your reviews are following SEO guest practices. Showing related products is another chance to boost the sales on your site. Also, recommend popular products to show your customers another great stuff they can find (and buy of course). If you want to go deeper with this topic, read these 6 approaches to product recommendation. Do your best to simplify the ordering process on your site. There is nothing worse than having to search for the “Add to Cart” button, but being unable to find it – so make it visible. Focus on using contrasting colors, proper size, and placement of this very important button. You should also avoid adding unnecessary buttons. Read more about the best practices on Econsultacy.com. A size chart is a must have if you’re selling clothes or shoes. Show the chart with all the sizes included in your range and give the instruction on how to measure yourself in order to choose the most appropriate size. Adding a loyalty program to your online store may be one of the best options to improve your conversion. It is proven that loyalty program members spend up to 13% more than customers. It engages them to return to your site, so reward your loyal customers and make them love your brand! Creating a loyalty program is tricky, but it doesn’t have to be difficult, since you can use loyalty programs like Loyalis. Value propositions that are visible in prominent locations on the page can have a great impact on increasing your conversion. This can be free shipping, price guarantees, or anything really. Just test it and see what works best for you! If you want to know more, read about 50 value propositions for eCommerce retailers. When a customer finishes the checkout process, you can show them an additional item, relevant to their purchases. This is a truly powerful solution to increase sales. Offer only related products. For example, if customer is buying a smartphone, upsell a cover for his smart device. See the art of eCommerce upselling by KissMetrics. Believe it or not, down-selling can help you keep customers on your site, especially when they purchase nothing. Show them a one-time offer or even a related product with lower price. It’s obvious that not every retailer can offer product customization, but if you have that option, use it! People love unique clothes and products. Help them to stand out from the crowd and if you’re interested with the topic, start with this article from Forbes. Let visitors easily find your discounted products, and show all of them in one place. Make sure it is easy to find and place it in the main menu or other visible place. If customers can choose the same product, with the same price from one of a few different e-shops, they will probably buy from the one that has the best shipping option. Offering free shipping can have a great impact on the number of your sales. However, you have to calculate precisely whether you can afford it and still generate positive ROI. Sometimes it is a good idea to show the countdown of purchase time as it is related to delivery time. Inform your customers that if they order a product in a specific time frame, they can get expedited shipping (or some other perk). Online buyers want their products to arrive as quickly as possible, so be precise. Customers are often impatient, and they can be irritated when the item they’re looking for is out of stock. If you plan to re-stock them, give customers the chance to backorder the product. One of the best options to convert visitors into customers is using a first-time purchase offer. Make a great first impression by giving them a coupon to use on their first purchase. There is also something in it for you – you get their email address to reach them with personalized offers. See these smart strategies for issuing eCommerce coupons and learn more. Everyone likes surprises, but not when they’re about extra costs. Be transparent and don’t try to hide shipping cost, or something more. Show the final amount with all of the costs included. Scarcity is one of those things that boosts customer’s desire. They are more likely to be interested in a product when they know that it’s almost out of stock. This encourages them to purchase immediately. When customers see limited time offers, they begin to fear that if they don’t act quickly they may miss out. Leverage this urgency from time to time, and enjoy your increase in sales volume. One of the best example of creating urgency is Booking.com, where customers who are looking at hotel rooms to book are automatically alerted when the rooms are nearly booked by other users. Automation can simplify the buying process. You can automate many things on your site, such as address recognition, and one-click purchasing. Learn more by reading this 6 timesaving automation tools for eCommerce merchants by Practical eCommerce. Numbers and statistics are a great way to not only increase conversion, but also credibility. Show the number of purchases, delivery time, or product rating. Payment options and simple payment processes are also important for customers. That’s what they check out first when they want to buy something on an eCommerce site, so you have to be aware of its power. While credit card payment is popular, there are customers who prefer alternative ways such as online transfers, PayPal or credit card payments. The more options customers can find on your site, the more chances to increase your conversion there are. However, remember that too much is never good. SecurionPay can be a good choice if you’re looking for a payment gateway for credit and debit card processing. Pay attention to the number of steps in your checkout process. The simpler it is, the better it is for the customers. They should fill up just as many fields in the form as needed. Pre-fill fields where possible, and let them complete the purchase as quickly as possible. Customers are careful while checking out and they are definitely more trusting when they see these two words on the site: Secure Checkout. So, add a trust symbol to your checkout section and improve your credibility. It’s a convenient way for your customers to pay. It should be as easy as possible and take just a minute! You’ve worked so hard building and promoting your website, so don’t send your customers to other pages – especially while they are paying for their purchases. Choose a payment gateway that lets customers pay right on your page, without redirection. More and more customers visit eCommerce sites on their smart devices. So let them browse products, and pay for them using their smartphones or tablets. See this infographic to learn more. It is a great idea to use a strong message on your front page in order to humanize your products and make them more attractive to customers. Running a blog for an online store is another great idea. This helps to keep customers up to date, and is also a place where you can inspire them, and show your products in a creative way. Check out the 15 eCommerce blogs you should be following by ReferralCandy. Remarketing is a great way to attract your “almost customers” who were looking at the products, but abandoned their online shopping cart. Remarketing allows you to use PPC, or Facebook ads to remind previous visitors to complete their purchases. Give your visitors the right offer at the right time, learn more here. Following up by email can also reduce the shopping cart abandonment rate. Ask for the customer’s first and last name, and email at the beginning of the checkout process. When the visitor doesn’t complete the process, sent him or her an email and encourage them to go back to your site. Newsletters are another way to boost conversion on your eCommerce site. Especially if you’re segmenting the leads. The more fitted offer is to customer’s needs, the more chances you will have to encourage them to buy your products. E-mail marketing is still one of the best methods to reach visitors and easily convert them into customers. Use popular email marketing providers, like MailChimp or GetResponse. Make it easy for your customers to contact you. Leave your contact info on your page (don’t try to hide it), or set up a simple contact form. Try to get a free phone number and then display it- it’s a great way for customers to contact you. Your customer service should always be helpful. If you want to provide a fast response, install live chat on your website. Real-time customer support is one of the best options for your clients. Also, if you’re running social media profiles, be prepared to answer the customer’s questions in those channels. Being responsive is one of the most crucial things in the online world. It is also a clever way to collect feedback. Read more about using live chat solution on the Kissmetrics’ blog. Terms and conditions with a clear message are a great base of knowledge for your customers. It also helps them to understand the process according to payments (and fee for late payments), delivery, return policy, dispute resolution procedures, etc. If you want to learn more how to write T&Cs, you can read this blog post. Wow, you’ve reached the end! 🙂 We hope that we’ve inspired you about what you could change on your website in order to increase your conversion. Now it’s time to run some A/B tests, and find out what really works for your customers. Good luck!